Most of the time I think it is wonderful that I don’t know today’s date. That’s one of the perks of retirement. But on Friday, I had a lightbulb moment. I realized there was only one week left in February. 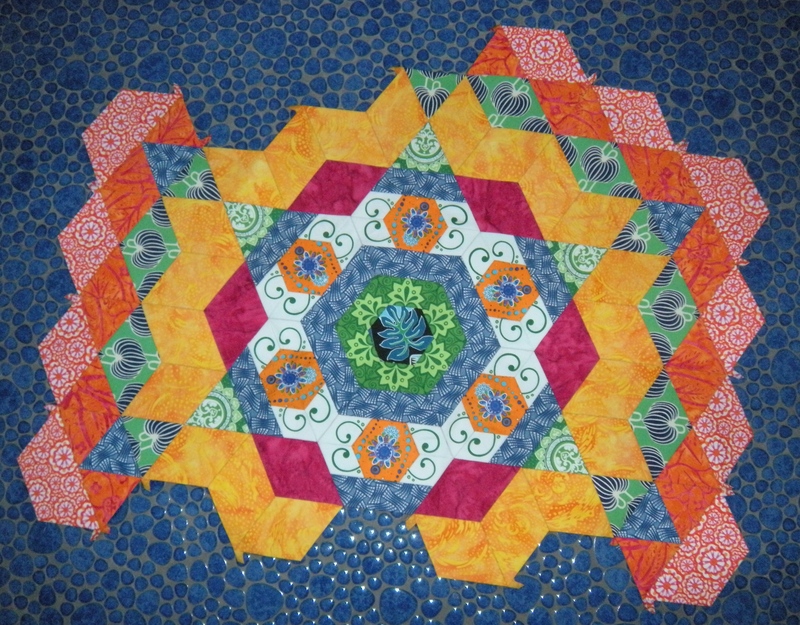 And I had finished only the center of my “assignment” in the New Hexagon Millefiore Quilt along! Although I had cut and glued the pieces for the first round, there they were, sitting on the table next to my chair. I had stuffed them into a cute little bag. But I could hear them whispering. Kinda like Clarice in Silence of the Lambs. Before I tell you what I did on Saturday, I want to give you a little back story. I am not a block of the month kind of gal. I’m not overly fond of randomly imposed deadlines. If I am doing a project, I want to do it because I WANT to, and WHEN I want to. Especially if it is something that I am supposed to be enjoying. Something I voluntarily chose to do because it would be fun. Or because I could learn something. Really, a project needs to speak to me in some way. So I don’t want that project to get all sassy and belligerent, up in my face looking at it’s little timepiece and telling me to get moving. Why would any of us want to do that? Time is precious. Life is short. There are cats waiting to be petted, chocolate waiting to be eaten, naps that need taking. And I, for one, intend to honor all those important things. Anyhoo…my little paper pieces are whispering. They are whispering politely, and I am still interested in what they have to say. So I got out my glue stick, fired up Netflix, cut myself with my rotary cutter, and got back into the game. And I followed my own tutorials. I pieced those puppies with my sewing machine. 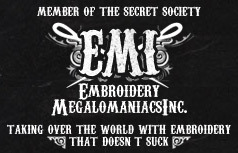 Now, mind you, I had hand stitched the center. 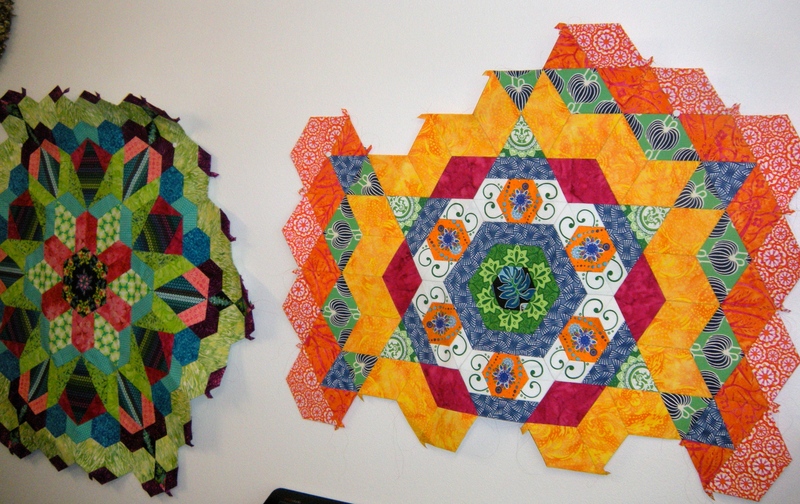 I had cut and glued the first round, and hand stitched three of those hexies. On Saturday, I cut, glued, and stitched together the rest of the rosette. That’s six Dolores’ and a shitload of Carols. And attached them all to each other. Rosette #2, in the bag. I didn’t do it because of peer pressure. I didn’t do it because I thought I might disappoint someone. I didn’t even do it because I would disappoint myself. I did it because I actually wanted to have the rosette finished. I want to move on to the next one, I want to anticipate number three! You see, I figured out what I wanted out of this project. I asked myself if it was the product or the process? For me, is it all about spending my time hand stitching? That would be a big no, not for me. I want the finished quilt. Since my goal is the product, the finished quilt, I had to figure out how I could make that happen. And hand stitching the whole thing was taking me down that well-worn path that leads to a dead end. If I tried to hand stitch the whole thing, this project would end up abandoned. Knowing my limits, I have chosen to do my rosettes in an unconventional manner. And it works for me. I am happy with my results. And, most importantly, I am still excited by this project. I know that my new friend Katja Marek will be happy for me too. I was not the first to finish this rosette, not by far. And I know I am far from the last to finish. But it’s hanging on my wall, next to it’s fellow rosette. And it looks spectacular, and triumphant, and inspirational. And I want to make more companions for these two. Now go out there and make something pretty! Right NOW! Next Zero degrees of separation between me and the Oscars last night. I have to say I am SO glad I found your site with your instructions on how to piece with machine!!! I signed up today with the hope of doing all the sewing by machine as I am not a hand person but just LOVE this project. Love it Carole! And it looks to me like you have enough sass of your own to back those puppies down when they try to boss you around!!! Whip them into shape. Shape it up. Get straight. Go forward. Move ahead. WoooHooooo! Yes Carole! I love the way you think. Take what it is you want to achieve and find the way the works for you. Your results are spectacular. Enjoy the process! Enjoy the results! 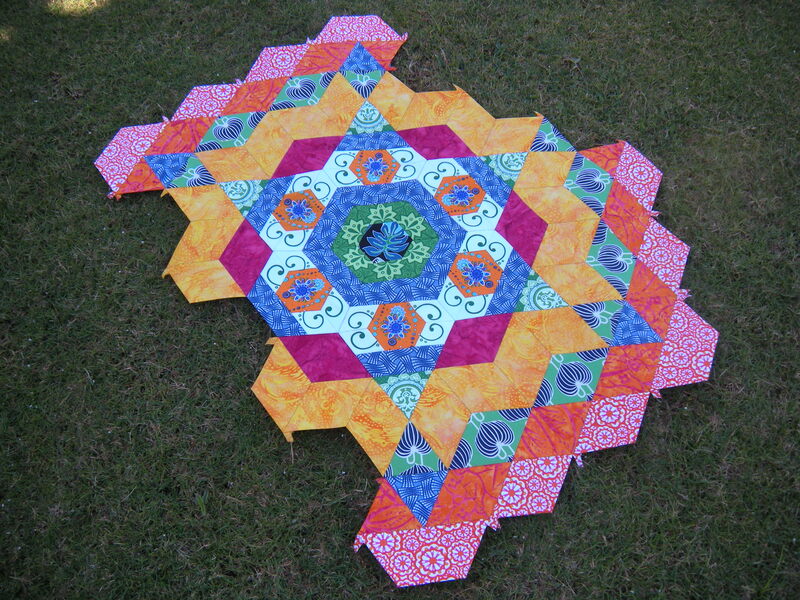 I know that there will be a spectacular quilt at the end of this! Oh Katja, you hexie thing, you! It’s annoying when projects get bossy and insist that you work on them, isn’t it? 🙂 I love these Millefiore projects – definitely on my “Things I’m going to do when I’m retired” list! This one is a joy to work on, since I have figured out the method that works for me. As a bonus, it looks good on my powder room floor!